Did you notice how for some time the increasing number of devices and interfaces are becoming self-competent? Well, the way mobile devices and apps used to interact with users changed dramatically over the years. Now your app understands your situation and preferences and accordingly decides to send notifications. The so called ‘one size fits all’ kind of approach is long gone and out-dated. Now mobile devices are intelligent enough to respond to user needs more proactively than ever before. This happens particularly because of an array of sophisticated device sensors that can quickly inform about different attributes of user contexts including location, activity, proximity to certain areas, etc. The increasing capacity of mobile devices to respond to user situations is what facilitated the onset of Artificial Intelligence in mobile apps. Mobile app developers are already aware of the ways Artificial Intelligence is paving the way for smarter UI and UX. Some of the crucial ways artificial intelligence has been implemented into mobile interfaces as an era defining technology include the chatbots and conversational bots, analytics based on machine learning, smart digital assistants, voice controlled UI, speech recognition and smart, personalised notifications as well as other app behaviours. Let us now explain some of the ways Artificial Intelligence can revolutionise mobility and mobile apps. Mobile apps continue to be more personalised and user centric in their behaviour. From the custom mobile UI and UX elements designed and developed for a specific audience to the recent emphasis on individual user needs and preferences, mobile apps continued to become more user centric. Delivering user what the user wants at the right time and condition helps to boost user engagement. Thus a user just after arriving in a new place can be notified of the best options for staying and fooding as per his proximity, his schedule of visiting places, weather, traffic conditions and other local constraints and scopes. For instance, if the user is approaching a city landmark, the respective app can help him knowing all the necessary details about buying the ticket, timing, etc. The user can also be notified about the nearby restaurants, available transport up to his hotel and real time traffic information when he is about to catch public transport. Now, this personalisation can be even better when a user can talk to the device UI for instruction and get real time information and guidance about travelling through the city. Smart digital assistants like Siri unlocked the door for voice interaction with the device for relevant and real time actions. Device sensors becoming more powerful every day are making this personalisation even better with deeper user information and insights. 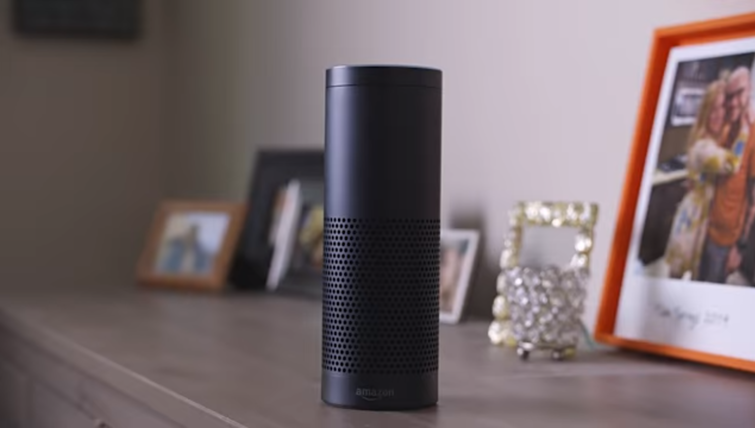 Amazon’s Alexa is an example of smart voice controlled UI used for home automation and device control in an indoor environment. Though Alexa’s interface lacked versatility and flexibility as users mostly known it as the UI for playing music with voice command, it was nevertheless the pioneer as a voice controlled app. Soon its footmarks were followed by other major tech players who came with their own AI app for home automation and indoor control of gadgets. Voice command continued to become popular for a vast majority of interfaces and apps with mobile based smart digital assistants playing the key role. Presently a plethora of devices run with voice controlled apps are being developed. While many of these have voice controlled UI inbuilt, several others enjoy simultaneous control with a connected mobile app. With the digital assistants getting smarter with voice enabled search and command, in the time to come we can voice command to be at the forefront of AI power apps. Earlier mobile devices used to respond to voice commands by recognising the speech. This over time became better and enriched with Natural Language Processing being incorporated into speech recognition. Thanks to natural language processing the device learn the typical pronunciation and tonal differences of the user and responds to user commands irrespective of these differences. Thanks to improved speech recognition technology mobile apps can behave in a more personalised manner as individual differences of speaking won't undermine the output of a voice controlled interface. The emergence of chatbots and conversational UI has been more recent, and they made their presence felt by allowing smart, intelligent and automated interaction that requires less human intervention to cater to the users. For instance, upon arriving on a retail or mobile commerce app, you can ask the chatbot specific question about any product or purchase and get real time answers besides being approached for help to deliver more such options. Modern chatbots being completely aware of the user activities and reactions in different situations can help make the buying process easier. With chatbots powering the mobile apps and user interactions, you can always expect easier and value added user engagement. Artificial intelligence unleashed in various capacities can benefit user experience in numerous ways. AI based apps and tools can make the use relatively effortless as users will get their answers without needing to act much. Apart from adding ease to the user experience, AI will make users more satisfied with notifications and responses catered for individual needs. With technologies like advanced speech recognition AI powered apps minimise the effects of individual differences in pronunciation, linguistic efficiency and tonal quality. With AI powering app UIs and strengthening user experience, the mobile apps and device interfaces are supposed to be smarter than ever before. So, while the revolution around AI is already taking place, what we can expect from the mobile app developers of our time? Well, developers now need to be more equipped with the latest knowledge and skill set to utilise AI more contextually for making the user experience better.